Splice – Video Editor + Movie Maker by GoPro. 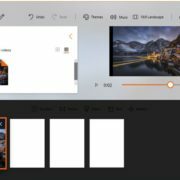 Splice is a completely free video editing app for iPhone that allows creating fully customized and professional looking videos on your iPhone, iPad or iPod touch. It can automatically sync your video to the beat of the music. 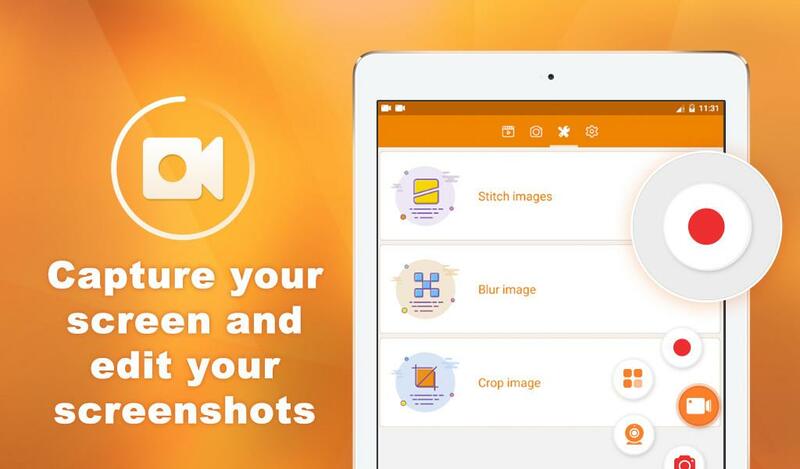 On your mobile device, you can trim, cut, crop, text overlays and more. Automatically sync your video to the beat of the music. Apply filters and adjust background colors, orientation and more. 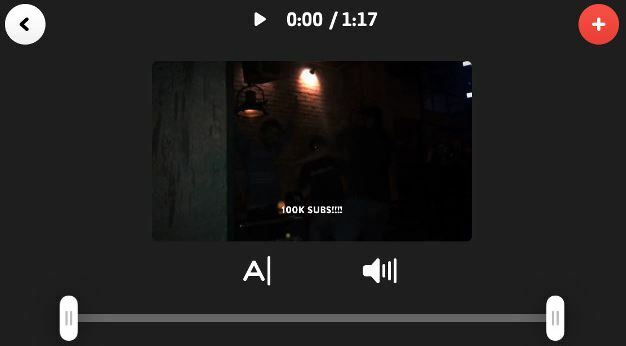 Add title slides, text overlays, and a custom outro. Adjust playback speed for fast or slow motion. Trim, cut and crop your photos and video clips. Choose your transition style and control the speed between transitions. Bring your photos to life with pan and zoom effects. 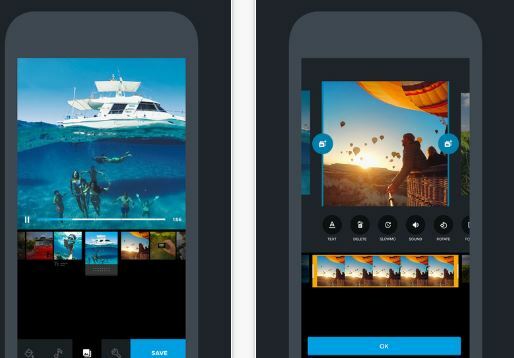 Cameo is another free video editor app developed by Vimeo. If you need some basic video editing capabilities on your iPhone the Cameo can do a great job. The interface of the app is clean and intuitive. It comes with quality video filters, themes and the soundtrack that fits your vibe. Share your videos on Vimeo, Facebook, Tumblr, and Twitter, store them in the cloud, or save them on your phone. 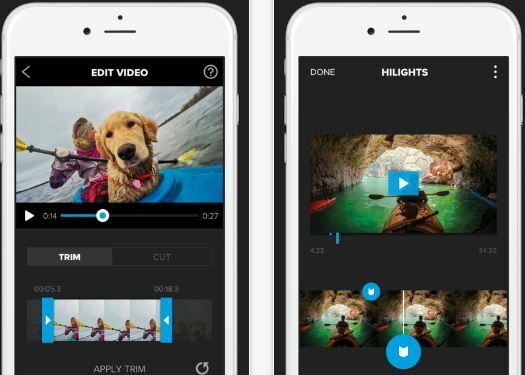 Quik is another iPhone video editor app from GoPro. Import your photos and videos to app from your picture library, facebook or Instagram or GoPro account. Just like splice app, you can add highlights to video clips. You can customize your story with text, filters, music and more. Quik analyzes your video clips and makes smart cuts. It can detect faces and colors to frame each photo perfectly. It comes with 26 video styles, transitions, and graphics. Easily reorder photos, video clips, and titles. Change your video’s orientation from cinema to square for easy sharing on Instagram. 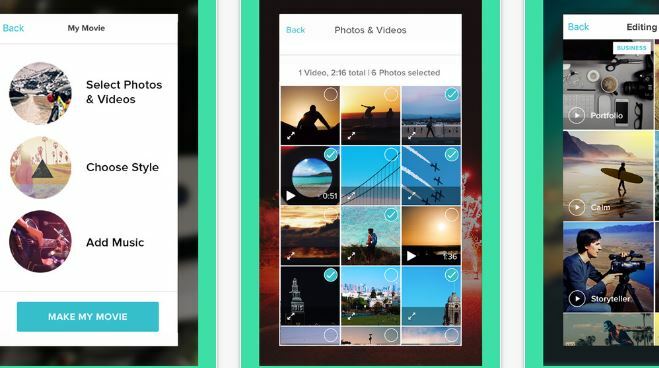 Video Crop is a video editor app is the app to perform only one task to your iPhone videos is cropping videos. It is a fast and easy way to crop the videos quickly and smoothly. The interface is intuitive and allows you to crop the area freely or you can select a fixed ration. It can also remove the background that doesn’t contribute anything to the finished product. 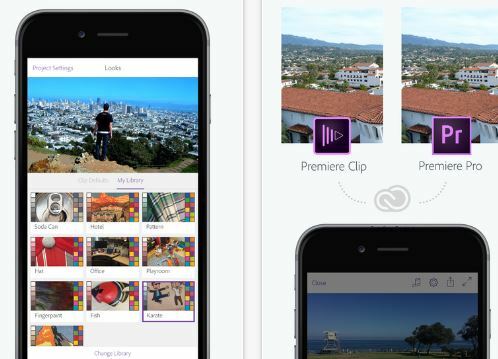 To use the Adobe Premiere video editing app on your iPhone you need an Adobe ID. Just create a free Adobe account and use that with it. This app can edit your media files stored on your device, Dropbox account, or within Adobe’s own Lightroom and/or Creative Cloud accounts. Trim out parts you don’t want, and add visual polish with lighting adjustments, transitions, slo-mo effects and more. Choose from stock soundtracks, or add your own music. Save finished videos to your camera roll, post them directly to Twitter, Facebook or YouTube, or send them to Premiere Pro CC for additional editing. 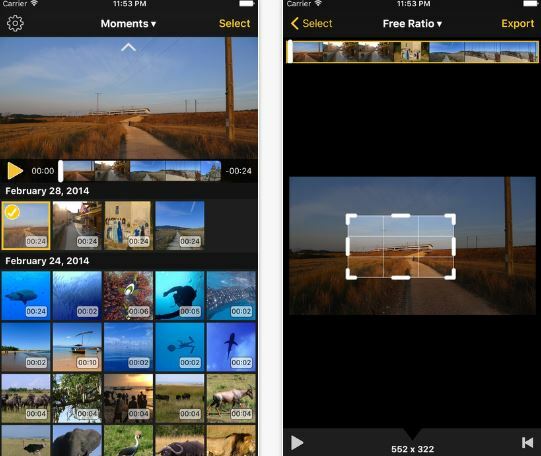 Magisto is another good iPhone video editor app. The apps are very simple to use but you don’t get some features like text overlays, tilt shifts, etc to your video. You can create videos for your facebook or Instagram with different effects. There are a number of themes available, such as dance, among many others. Magisto also applies automatic video stabilization, facial recognition, video filters, video effects, and smooth transitions. Directly share your videos on Facebook, Instagram, Google+, Twitter, Email, YouTube, and Whatsapp. 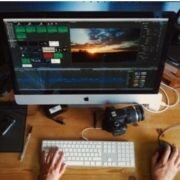 So, if you have already tried any of these video editing apps then please share your experience. If you are editing 4K videos shot with your phone then which is your favorite editing app that deserves to be on this list. Please do let us know about it using the comments section and we will add that to our list. Another good way to trim videos easily on iPhone is with the Kakuka app. It allows you to edit and save the video in just a few steps. The clips work very well for Instagram!